Padded interior computer sleeve holds a 17 inch' laptop with easy back-access zipper. Organiser compartment with multiple pockets, zippered mesh pocket and a key fob. Media player pocket. Valuables pocket for smartphone. Side mesh water bottle pocket. 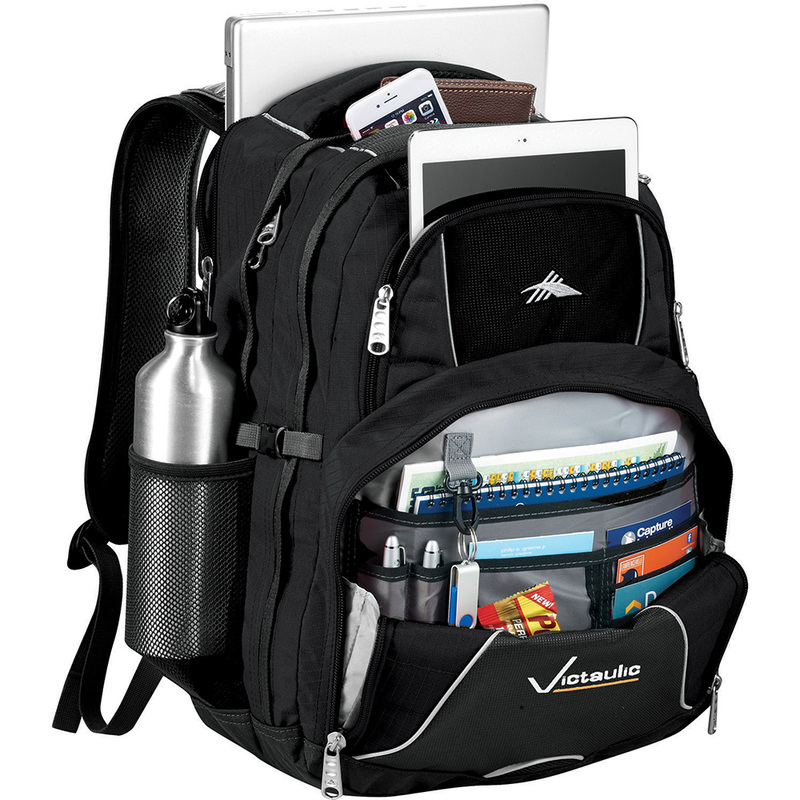 S-shaped Vapel™ mesh Airflow™ padded shoulder straps with suspension system, thumb-ring pulls and cell phone pocket. Vapel mesh grab handle and padded back with tuck-away waist belt. Main compartment capacity is approximately 31 litres. All accessories shown are not included.